Winter sports have ended, and the October school holidays are a welcome rest to the preteen and teenage joints and ligaments. If your kids are anything like mine they are growing like weeds and they are complaining. Their ankles are sore, their knees hurt, their heels are tender, and their legs ache during the night. Over the winter they had the odd minor ankle sprain or achilles tendon injury or they may have been diagnosed with plantar fasciitis. Now is the time to get their bodies checked. Our preteens and teenagers are having hormonal changes and their bodies are growing rapidly. At the same time, they are challenging their bodies with sporting activities and discovering their bodies limits. During times of growth they seem tired, uncoordinated and let’s say it, very grumpy. They can also seem prone to more injuries and often don’t recover as quickly as expected. Pains seem to niggle and linger. At Stillpoint Osteopaths we have the skills to evaluate their body mechanics and get their health back on track. 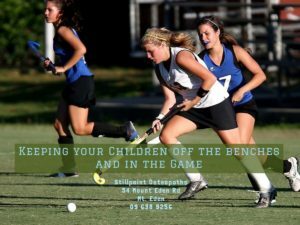 A small amount of balancing can get your child ready for those summer sports and playing at their optimum ability. With better body alignment and balance you may even find they sleep soundly and their moods even out and that is good for all the family!